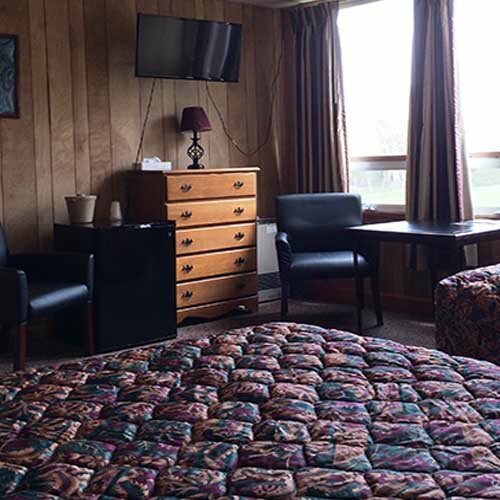 All of our lodging accommodations are simple, plain, clean, affordable, and comfortable all with the same basic décor and amenities. 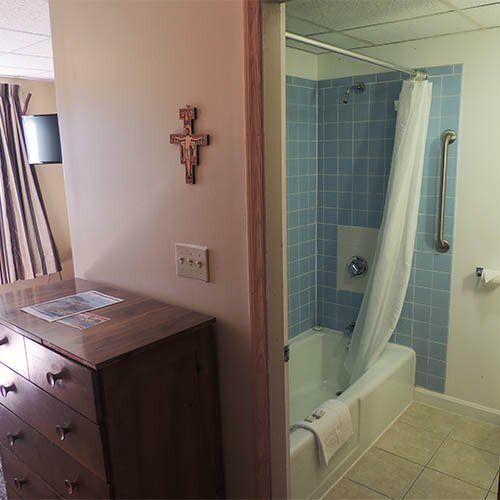 All guest rooms have private bathrooms. Rooms are spread throughout four buildings, each building with its own history and character. Bed sizes and numbers vary. None of the buildings have elevators. 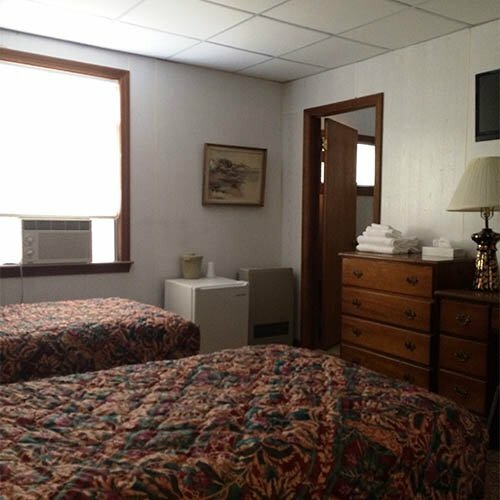 Our hotel staff is happy to help you choose the best available room for your needs. Please feel free to call or email with any questions. Built in the 1950s as a boarding school, this building housed the classrooms on the first floor and dormitory rooms on the second floor. 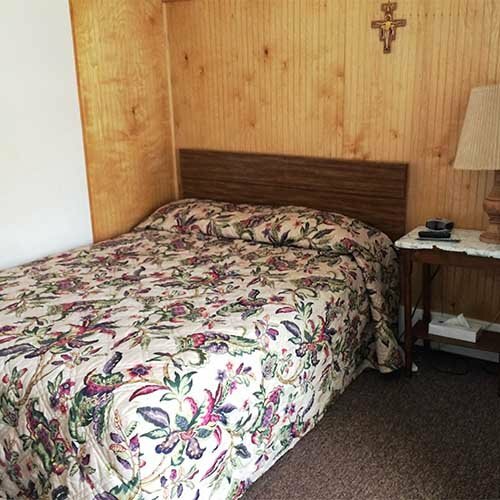 The Main Guest House contains our most updated rooms, three floors, and views of the Monastery grounds and saltwater swimming pool next to the lower parking lot. 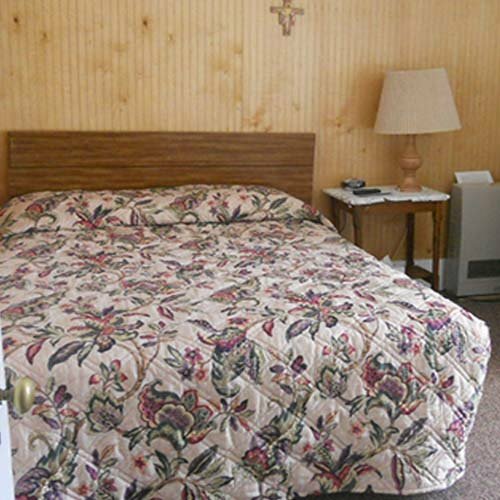 Guest room bed sizes are available in single queen, two full beds, two twins, or full with twin. 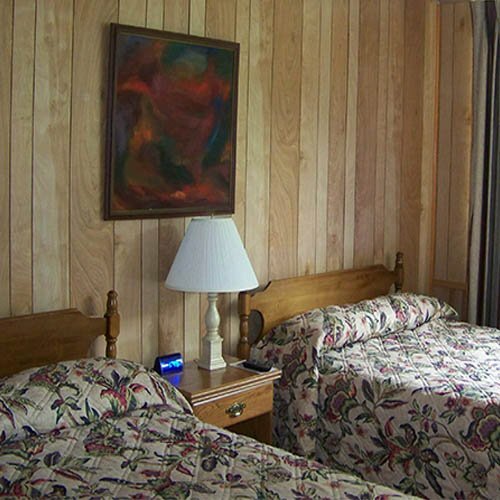 There are also a few multi-room units that can sleep 3 to 5 people. In addition to free WiFi, there is a desktop computer available for use outside the Front Desk office. 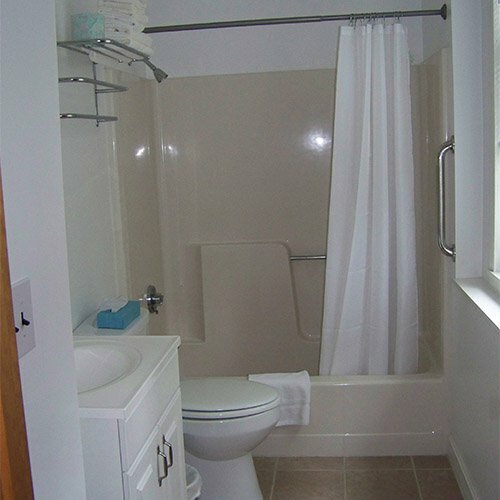 Rooms on the first or ground floor are best for those with mobility issues. If the name sounds familiar, it’s because this building was named after the Baltic Sea on the Lithuanian coast. Formerly the stables for the previous owner’s of the estate, the horses are long gone, with the building converted to guest rooms with modern conveniences. 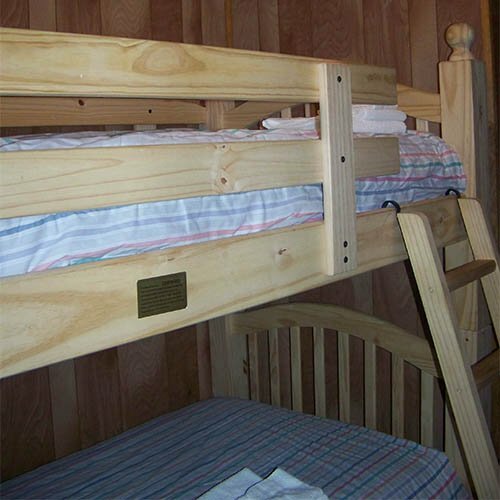 Rooms vary in bed sizes including queen, two full beds, full & queen, or full & twin with bunk beds. 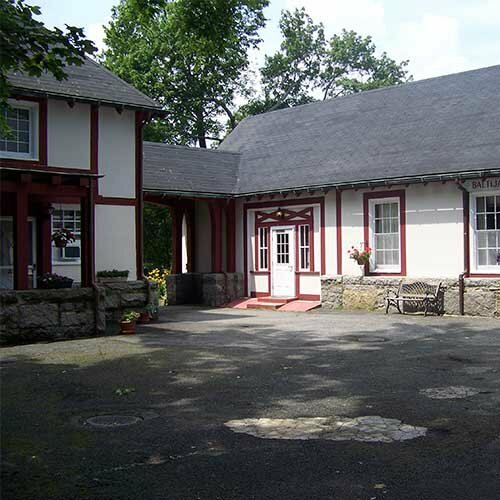 This single-story building is located farthest from the Main Guest House and closest to the road with limited parking in the courtyard. Palanga, named after a Lithuanian resort town, is the closest of the three Tudor-style buildings to the saltwater swimming pool and Main Guest House. Formerly stables with a hay loft, now the first floor has guest rooms that come with bed sizes in of one queen, full and twin or full and queen beds. 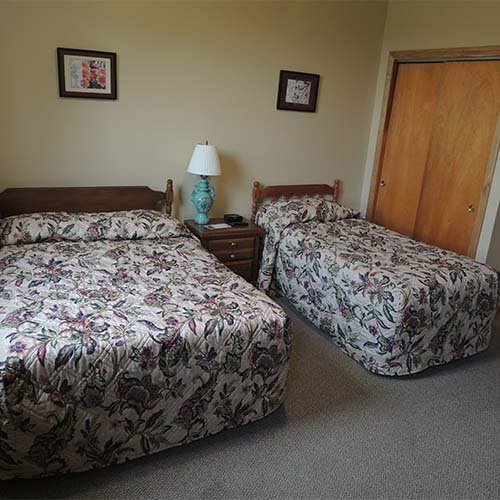 The second floor has one micro room with two twin beds, and two rooms of which one is a multi-room unit good for families of 3 to 6 people with one and a half baths, two full beds and two twins. 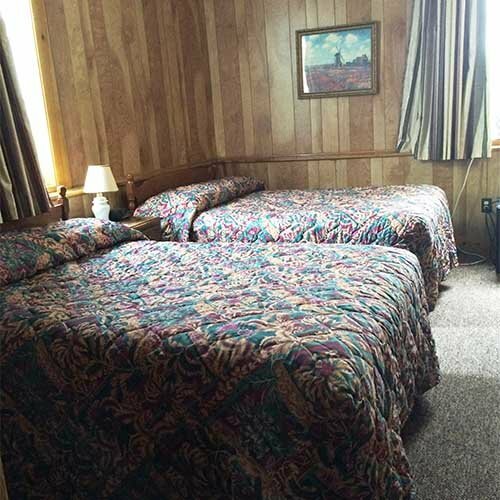 The other room room is also a multi-room unit with a full in one room and a queen in the other room and a private hallway to the private bathroom. Named after one of the oldest towns in Lithuania, Kretinga along with Palanga and Baltija buildings encircle a small courtyard with limited parking. 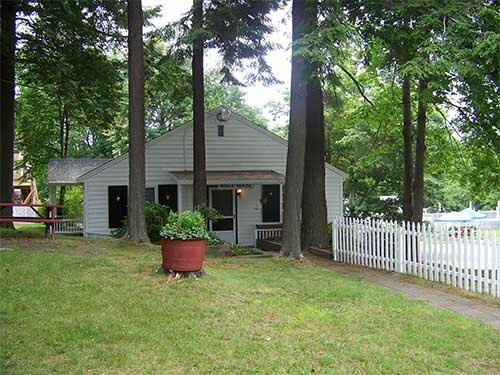 Formerly the stablemaster’s cottage, this building has been updated with guest rooms. 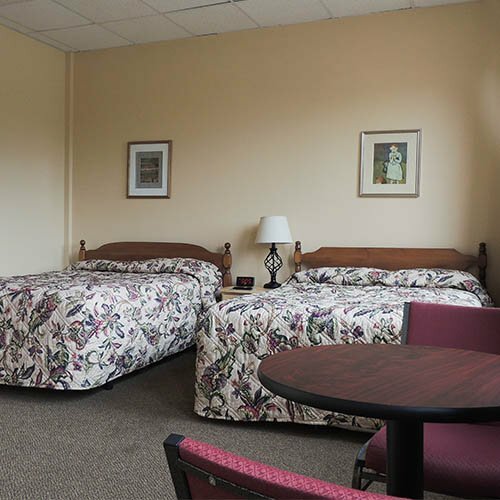 First-floor rooms come with a queen bed or a queen bed with bunk beds for the kids in a side room. 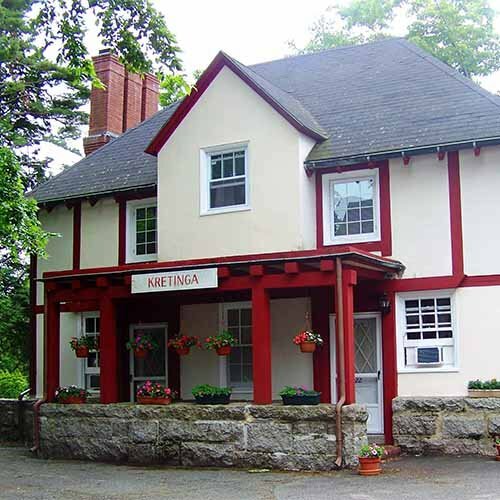 For a large party, ask about the availability of Kretinga’s second-floor multi-room unit with three bedrooms, one bathroom, and enough beds to sleep up to six. 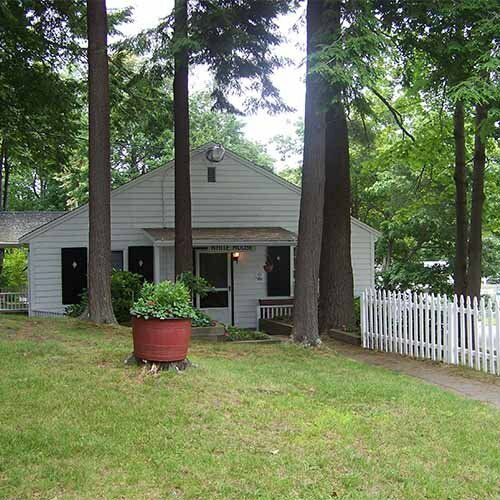 Formerly the residence for the school cook, the White House is a single-story cottage with eight individual guest rooms. These guest rooms have views of trees and the saltwater swimming pool area. This building is located closest to the Main Guest House. 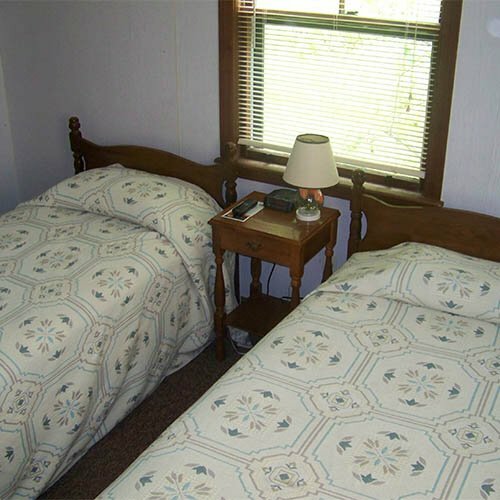 Beds in these rooms are two twins or full with twin. 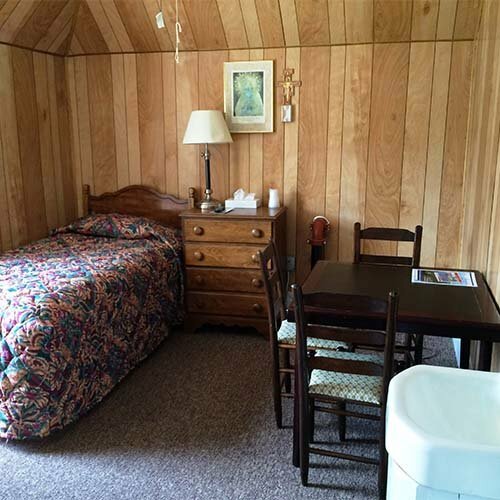 These small guest rooms are camp-like but with all the same amenities as the other rooms. Continental breakfast included with stay including coffee, tea, milk, juice, breads, cereals, oatmeal, and fruit. 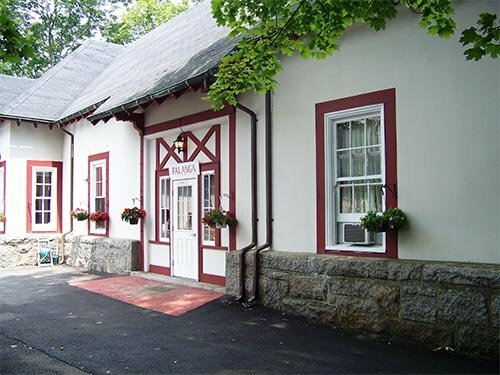 The FULL Breakfast Buffet is available for a small fee and includes an egg dish of the day and a hot item of the day which may include blueberry pancakes or french toast. Outdoor saltwater pool (no towel service, beach towels for sale at Front Desk). Pool is heated by the sun only. Pool will open in June as soon as weather permits completion of seasonal maintenance. Pool may close as early as the last weekend of summer or as late as the last weekend in September.